The origins of CERDA go back to the 1920s when it was known as CERDEL. It was re-inaugurated in June 1959 as Cerda to become the research and testing center for two manufacturers: Delle and Alsthom. Today, Cerda continues to evolve to face intensified T&D challenges with new state-of-the-art testing facilities being introduced in 2018 to carry out electrical and thermal tests at higher voltage and current levels. Marc Vittoz, Senior Manager, explains how utilities can benefit from these new facilities. CERDA used to be known as an internal testing facility. Why did you open the doors to external customers? Marc Vittoz: We have always offered other equipment manufacturers and customers the possibility of carrying out tests at CERDA. We have completed a large number of National and International certifications to ensure the impartiality of the test results. However, we never really pushed this as a service to the market. Now, with the joint commitment of the SuperGrid Institute and GE’s Grid Solutions business, we really want to maximize the return on the latest investments and officially offer HV and power tests as a service, like an independent test house. We believe that companies interested in doing business in France and neighboring countries may well be interested in having these tests done by CERDA, given its in-depth expertise in HV equipment and vast experience in the field of power testing. Also, European manufacturers who plan to export to North America or other countries where the frequency is 60 Hertz will also be very interested in our new facilities. Why is CERDA extending its facilities now? M.V. : It was decided to extend CERDA’s capabilities to respond better to today’s need for new technologies and products, as well as for certification purposes. At the same time, the creation of the SuperGrid Institute created an opportunity as both companies had an interest in extending their testing facilities in specific domains. These included the development of HVDC current breaking technologies, the increase in circuit-breaker performance (in particular for high voltages), and the need to have a real 60 Hz power source. In addition, the overall benefits will be to shorten the time to market for new product introductions and reduce the costs for each development project by recouping the investment in the testing facilities by increasing the number of clients. What are the major new testing areas? What are the new capabilities that CERDA customers can expect to access? M.V. : The new major test areas are, a new medium-power lab, increased capability for HV dielectric tests, a new high-power test hall combined with higher-performance synthetic test facilities aimed at switchgear, and a new short-circuit generator including power transformers and a DC rectifier. New assembly halls for preparing test objects will also been installed soon. With these new facilities, it will be possible to perform all power tests on HVAC switchgear up to 800 kV, 63 kA, at 50 Hz as well as 60 Hz. New, innovative HVDC capabilities will also be available, including an HVDC power rectifier and direct power tests at low frequencies. Do you plan further improvements in the coming years? And when will the CERDA extension be completed? M.V. : Yes, we are undertaking a step-wise development of the new facilities. The medium-power lab and the increased capabilities for dielectric tests are already up and running. The new high-power test hall and the increased capability for the synthetic test facilities are expected to be completed by the end of 2018. For 2020, the plan is to commission a new power generator and DC rectifier, and open a new assembly halls for test objects for CERDA clients. What kind of equipment can be tested now and in the coming years? M.V. : At present, any HVAC circuit-breaker up to 420 kV, 63 kA can be type tested for power tests. 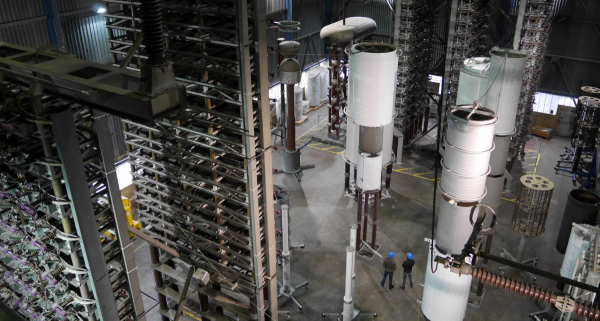 Dielectric tests can be performed now up to 800 kV on HVAC switchgear for AIS and GIS applications, for example. By the end of 2018, power tests will be available up to 550 kV initially, and up to 800 kV thereafter. What makes CERDA a service of choice? M.V. : CERDA offers a complete spectrum of services to perform all kinds of power and dielectric tests. Cerda is also integrated with both the ARC Research Centre and the Supergrid Institute whose research teams are highly skilled in the design of HVAC and HVDC current breaking technologies, prototyping and numerical simulation. 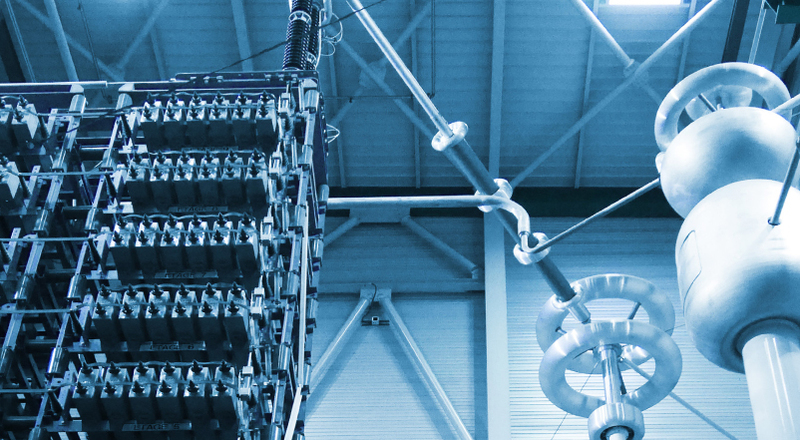 This adds up to a very wide-ranging, integrated power and HV test service to develop and type-test switchgear equipment with tight design stage lead times. Please introduce yourself and your professional background? I have worked for Grid Solutions from 1977 to 2015, first as a research engineer on AIS circuit breakers, afterwards as head of research on interrupting principles and finally as a Senior Fellow, representing the company in several external organizations (IEC, IEEE, CIGRE) and managing the coordination of standardization activities within Grid Solutions. After retiring in January 2015, I have continued, as a consultant, to represent Grid Solutions in both IEC and IEEE Standardization organizations. Throughout my career I was involved in research, studies and standardization related to high-voltage circuit breakers. It fit well with my electrical and mechanical engineering studies at ENSEM Nancy. Of special interest was the possibility of designing and testing new current interrupting chambers for MV and HV circuit breakers, especially at the time when first generation SF6-based circuit breakers had just been developed. A lot of progress was made in design and optimization of circuit breakers with new tools being developed at the same time. All these improvements would not have been possible without the testing performed in the CERDA laboratories to verify the continuous current carrying capability and the mechanical endurance of the circuit breakers. Which test during your career do you remember best and why? My main task was to design and test interrupting chambers for HV circuit breakers. I remember best the short-circuit current making and breaking tests in the high-power laboratories. It was a challenge to design new circuit breakers with fewer interrupting chambers in series per pole (e.g. one instead of two in 1984) or with new designs that required less operating energy (e.g. the self-blast technique introduced in the 1990’s). Being able to meet the objectives, for example achieving the short-circuit current breaking capability, was of course exciting. One series of tests that I will always remember is the demonstration of the breaking capability of our first 245 kV AIS circuit breaker with one breaking chamber in the 1980’s. A large volume of work was accomplished at that time to improve the design of these early SF6 HV circuit breakers including the design and development of a new interrupting chamber, a new operating mechanism and the manufacture of a new much longer insulator envelope. 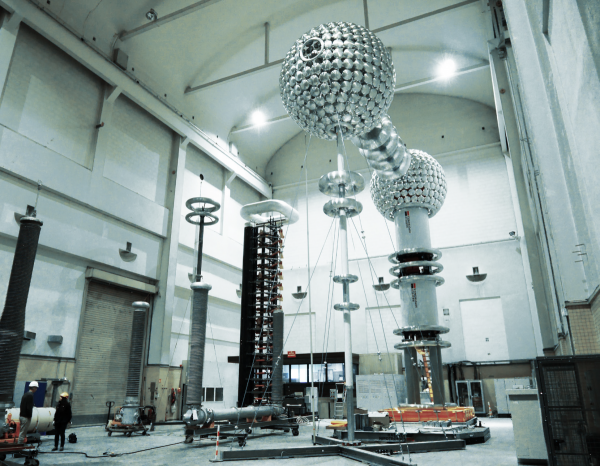 Certification tests were satisfactorily performed for Electricité de France in 1984, together with the corresponding 420 kV circuit breaker with two breaking chambers per pole. When was CERDA recognized as a pioneer? Could you estimate how many tests have been performed at CERDA since 1977? For short-circuit testing, CERDA became a pioneer when two generators were used in parallel, providing a short-circuit power of 5,000 MVA and short-circuit currents as high as 100 kA. The generators could be combined with a synthetic test facility that generated very high TRVs (transient recovery voltages) so that full 420 kV pole (later 550 kV) circuit breakers could be tested. For dielectric testing the CERDA high-voltage laboratory was one of the first in which full 800 kV pole circuit breakers could be tested. As a circuit breaker designer, I have probably seen thousands of tests (short-circuit tests and dielectric tests) so multiplied by the number of test engineers active at CERDA during that period, the number of tests should be in the order of a few millions for these Laboratories! What makes CERDA different from other labs? Few laboratories in the world have the capability of performing circuit breaker type tests for rated voltages up to 800 kV, including short-circuit and dielectric tests. The developments in progress for this kind of high-power laboratory will increase its capability even further for testing EHV (extra-high-voltage) and UHV (ultra-high-voltage) circuit breakers. Through the years as a research engineer and head of a research group, I always found it very useful to have the CERDA testing facilities close to our research offices so that no time and energy was lost in shipping our prototypes to other locations in Europe. What do you see as the most interesting developments for HV Products in future grids? 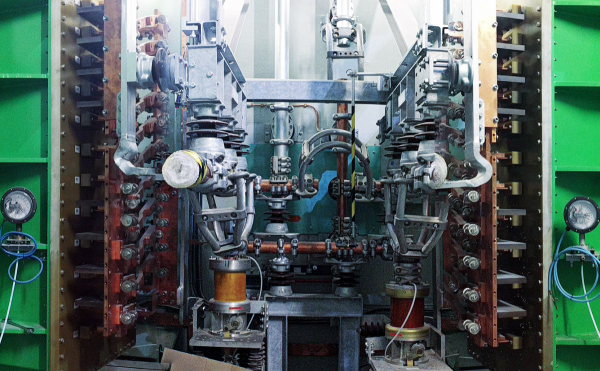 In addition to the progress made in the development of AC HV circuit breakers, there are two interesting developments in HV switchgear at the moment that justify new research and development and further improvements in test laboratories. One is the search for an alternative to SF6 for insulation and for current switching. GE Power has developed a promising alternative called g3 and products using g3 are under development: some of them already deployed as pilot projects. These new products need to be extensively tested, first to check that performance requirements are met and secondly to report to the wider industry, usually through CIGRE and other conferences. Another area for development originates from the need to have new switching devices for future HVDC grids. The need was confirmed by recent CIGRE studies and developments of these new switching devices are now well in progress. In addition, test laboratories must design new test circuits to check the performance of these new products, which are not currently covered by existing international test standards.